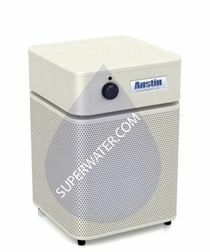 Superwater.com offers 100% Free FedEx and UPS Ground Shipping over every Austin Air # B400D1 HealthMate Standard Air Purifier System. 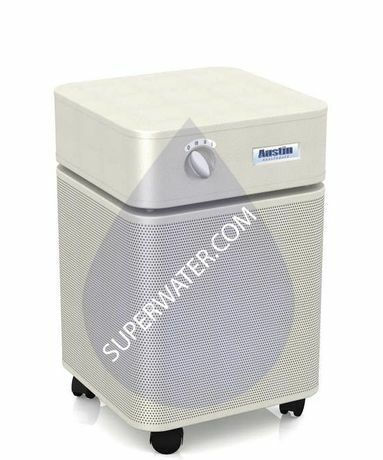 The B-400 HealthMate� combines proven filter technology to provide the best overall protection from a wide range of airborne particles, chemicals, gases, and odors. Every minute, over 250 cubic feet of air passes through 15 pounds of Activated Carbon and over 60 square feet of True Medical Grade HEPA Filter by Healthmate, providing air so clean it could change your life and, how you sleep at night. 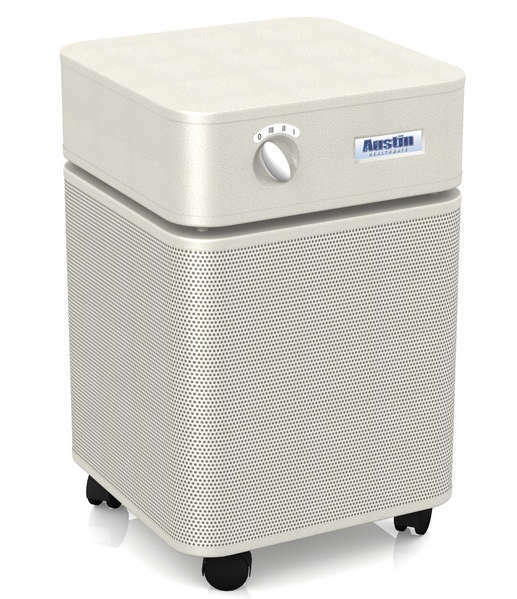 The Austin Air Healthmate B400 Air Purifier Provides Protection for People With Everyday Air Quality Concerns in areas up to 1500 sq. ft. 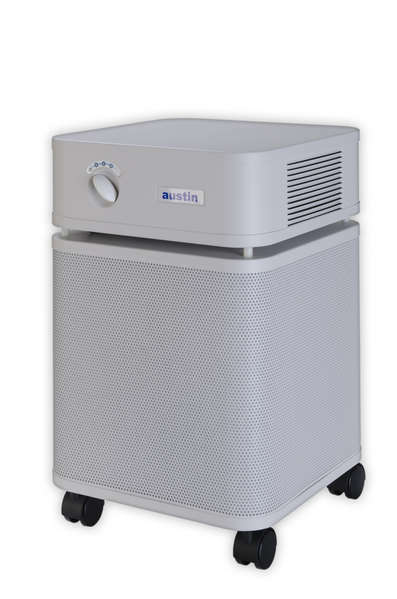 The Austin Air Healthmate Standard B400 Air Purifier System has a Patented HEPA (High Efficiency Particulate Arresting) filter that removes pollens and molds while the granular carbon and zeolite filter does a super job of reducing the levels of formaldehyde and chemicals. 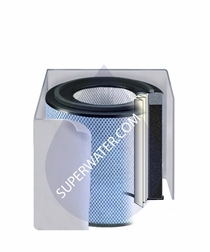 NOTE: This HealthMate Standard # FR400 Air Filter is effective for allergies, asthma, odors, gases and chemicals. Designed to provide coverage for areas of up to 1500 sq. ft. 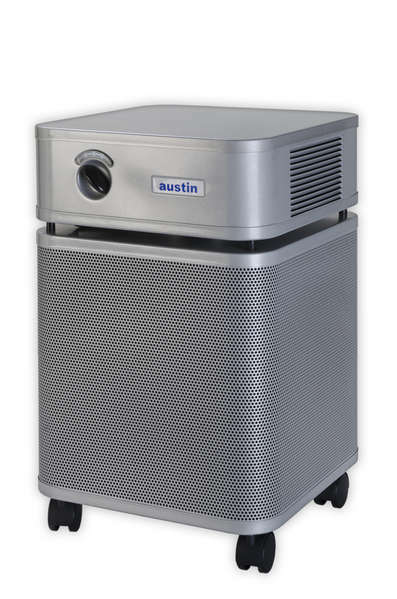 The Austin Air Healthmate Standard Series Purifier filter removes up to 99.97% of particulates and some as small as .3 (0.3) microns and 95% of air particulates as small as .1 (0.1) micron, while eliminating over 3000 toxic gasses and odors. - Cleans up to 1500 Square Feet of Room Efficiently. 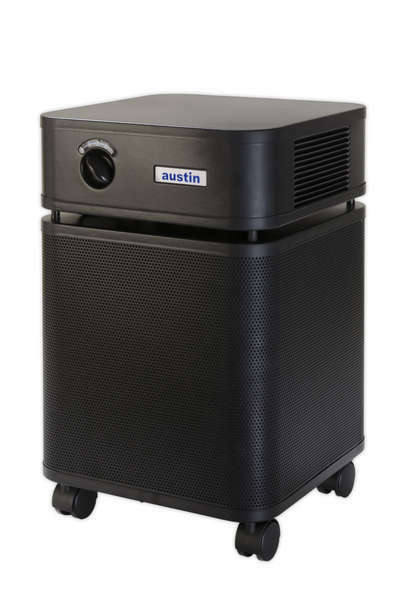 - Has 60 square feet of Medical Grade HEPA Filter Area Coverage for particulate removal. - Has 15 lbs Carbon with 10% patented Zeolite for chemical removal. - Colors Available for the B400: Sandstone, Black, White, Midnight Blue, and Silver. - Austin Air Frequently Asked Questions.